There's a lot of crossover between different types of knives in the market. Survival knives can be billed as "military" knives, and hunting knives can often be sold as general camp knives. 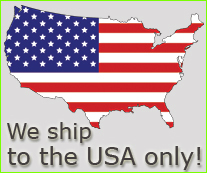 Just look around at the multitude of knife retailers online and see how many different categories one knife will fit. There's one type of knife that usually doesn't get billing in more than one area, and that's a fighting knife. That's because they are purpose-built tools made specifically for one task, and they are often designed for a specific fighting technique that the user prefers. Sure, they can cut packages, cordage, and even a steak on the grill, but they'd never be labeled as a camp knife. 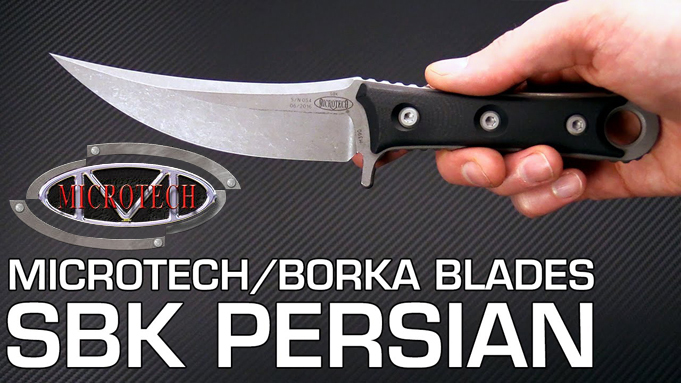 Microtech Knives just released a new fighting knife of its own, and it was built in collaboration with Sebastijan Berenji of Borka Blades. This latest release from Microtech is known as the SBK. 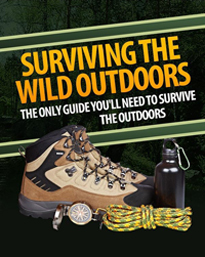 And if one must try to slot it into another category other than a fighting knife, it could aptly be described as a survival knife—just not the type of "survival" that would automatically come to mind. 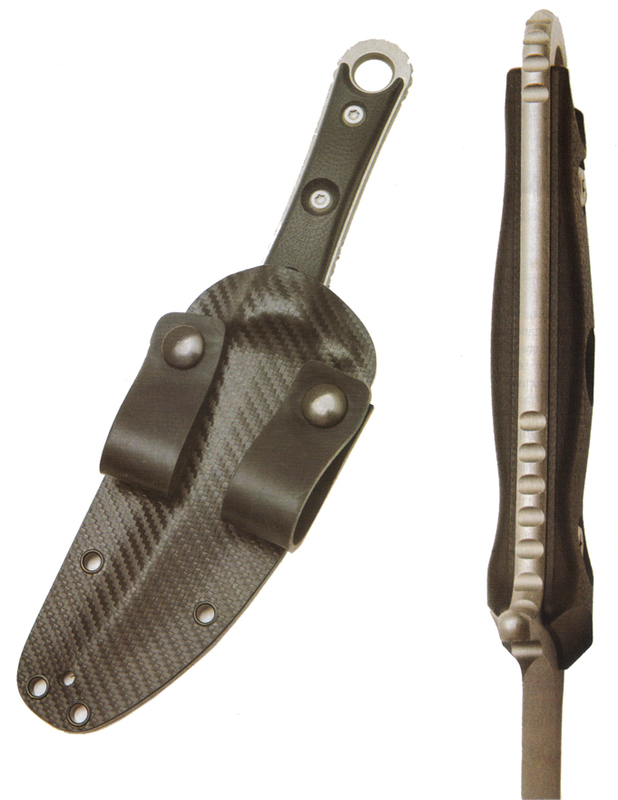 LEFT : For concealment, rubber loops were ordered to use for in-the-waistband carry of the SBK and its Kydex sheath. The loops can be switched up and attached so that the SBK can be carried on the waist in a horizontal orientation-similar to scout carry. RIGHT : There is a generous amount of comfortable jimping all around the handle of the SBK to ensure a positive grip. As most people could look at the sleek profile of a Lamborghini and know that it's built for speed, even without knowing a thing about the car or the company, the same effect occurs upon the first look at the Microtech SBK. Shaped like a serpent's fang, the long sweep of the curved blade more than hints at the purpose for which this knife was designed. The SBK is a full-tang design, with the entire length made of Bohler M390 steel that's done in Microtech's Apocalyptic finish. For the uninitiated, M390 is a latest-generation super steel made via the particle metallurgy process. It has a hardness rating between 60 and 62, meaning knives made of this material have a superior edge-holding ability. The downside is that it takes a little more work to sharpen than a typical high-carbon steel, but the payoff is worth it. M390 is also very corrosion-resistant, which means less time is required for blade maintenance. Out of the box, the edge on the SBK is frighteningly sharp. Shaving hair is the oft used standard, and hair slipped off my arm easily with the SBK's edge. When performing the paper-cutting test, multiple strips sliced cleanly away with only a couple of catches along the full length of the blade. The blade of the SBK is 5 inches long with a cutting length of 5.15 inches because of the curved edge. Meanwhile the handle length is 4.63 inches, resulting in an overall length of approximately 9.63 inches. The steel thickness is .20 inches, which is fairly robust for a knife of this type, and the SBK weighs in at just 7.3 ounces. What makes the SBK such an attractive option, besides its appearance and hell-for-stout build quality, is the relatively flat profile of the knife, including the G-10 grip slabs on the handle. This makes concealed carry of the SBK (where allowed by law) a no-brainer for those with a defensive mindset. With the grip slabs, the thickness of the knife only reaches 0.67 inches. This is significantly less than most handguns on the market that can and are carried inside the waistband with a holster, and it's much lighter as well. As it turned out, this became an ideal situation during the review. For some reason, I am not entirely left- or right-handed. When playing baseball, I batted right-handed and threw with my left. Using knives and chopping are stronger and more natural with my left hand, while the strong side for shooting is on my right. This resulted in a perfect concealed-carry setup with the SBK. While wearing the daily concealed-carry pistol on my right hip, the SBK was carried concealed on my left-hand side. And, because of its compact profile and light weight, a weapon of last resort was available on a daily basis with my right hand should something happen or if the pistol somehow became disabled. 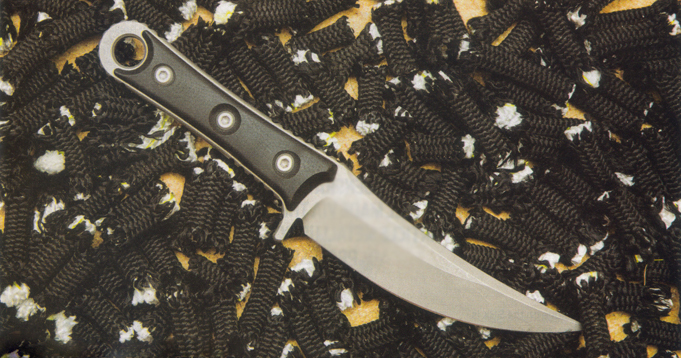 Certainly a pocket knife could be counted on in a similar fashion, but it would not be as quick to deploy as a fixed-blade, and the extra blade length of the SBK was more reassuring—as was the fact that the SBK was designed to fight. The Microtech SBK comes with a snug-fitting Kydex sheath (carbon-fiber finish) with an excellent large Tek-Lok clip that's adjustable to fit different belt sizes. Tek-Loks are the cat's pajamas for normal use, but for in-the-waistband carry, they add a dimension of unneeded thickness. Also, they won't physically work for most knives, because the width of the hinged portion of the Tek-Lok isn't enough to span the width of a majority of knife sheaths. This was an easy fix with an order for two rubber belt loops to attach to the front of the Kydex sheath. Much like an IWB holster, a belt can be run through the loops white the sheath is stored inside the waistband. Experimentation is ongoing with carrying the knife sheath with two loops or just one loop to see which is more concealable and comfortable. So far, using two loops seems to be the best option. ABOVE : The Microtech SBK has an aggressive appearance that makes it instantly recognizable as a fighting knife. The curved upswept blade makes draw cuts and slashes more effective as the user's hand completes the stroke. Despite the handle's shorter length, the balance point is just behind the first bolt. This is due, in large part, to the reduced thickness out front with the flat grind and full-length swedge along the spine. This leaves the weight in the hand and allows the blade to be more nimble and reactive during handling. Though the grip slabs are minimal, there is generous jimping on both sides of the handle close to the guard and around the top of the handle where it can get some traction in the user's palm. Overall, the knife is very comfortable to use, despite initial misgivings about the short length of the handle. Though a longer handle would up the comfort level a bit, it would offset the concealability of the knife, which I believe to be its greatest feature. ABOVE : A slicing test was done on a length of climbing rope with the SBK. Over two hundred pieces were cut. The slicing remained fairly easy through most of the test, with very few pieces requiring an extra pass. There is very little in the way of doing a real-word test of a knife of this type, other than practicing movements with it. It's not an outdoors knife, and it's not made for cutting cardboard, so experimenting in those areas are largely irrelevant—other than for testing how long the M390 would hold an edge, and we've already discussed that. The one thing that's always interesting about a knife of this type is how deeply the knife will slash on denser apparel. For this test, I dug up an old leather jacket and strapped it to a roll of carpet with a thick burlap-type backing. I stood the roll on end and tied it to a pole to simulate the same thrust vector and degree of leverage a person would have in normal use. (Laying it on the ground would allow too much leverage and power from overhead.) To test the knife's limits, I doubled the jacket over and tied it to the roll. This would approximate a leather jacket being worn with at least a couple of shirts underneath. The slashing prowess of the SBK was pretty impressive. On the main part of the jacket, the blade sliced cleanly through the top leather layer and through two linings and layers of insulation. As the slash was pulled downward to the pocket, the knife cut through two layers of leather there as well. On a light apparel day, the SBK is going to wreak some havoc in a defensive scenario. Even with heavy clothing, the SBK still performs in excellent fashion, penetrating through two layers of leather and insulation, and then three layers of the carpet and backing underneath. This was better than I have seen from any knife of this size. With it's upswept blade, the belly of the SBK is made for slashing. The razor-sharp edge makes quick work of this leather garment, and easily slashed two layers of leather on the pocket flap as the stroke was completed. Most folks are not knife fighters, but there is certainly an advantage to having a last-ditch weapon available in a defensive situation—especially one as well-designed as the Microtech SBK. 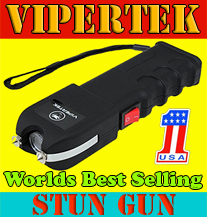 It can be used by folks in the service or while working the streets of the U.S. The provided Tek-Lok will work with all types of belts and gear for those that don a uniform. The true beauty, however, lies in the SBK's slim and compact profile (particularly the handle), making it an easy choice for concealed carry in those states where it's allowed. Luckily, with Kentucky's carry permits, if you can own it, you can carry it concealed. The Microtech SBK is an extremely well-designed fighting knife that is constructed of some of the most advanced materials known to man. The synergy of materials, design and execution is performed flawlessly in the SBK. 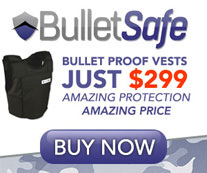 When looking to a tool to guard your life or those around you, why would you want anything less?